The New Year Of You | Taking More Time For Me in 2018 | Relaxing With Crabtree and Evelyn*. I love disappearing under the bubbles, forgetting about everything for a while and switching off and I am a massive fan of anything to help with that. 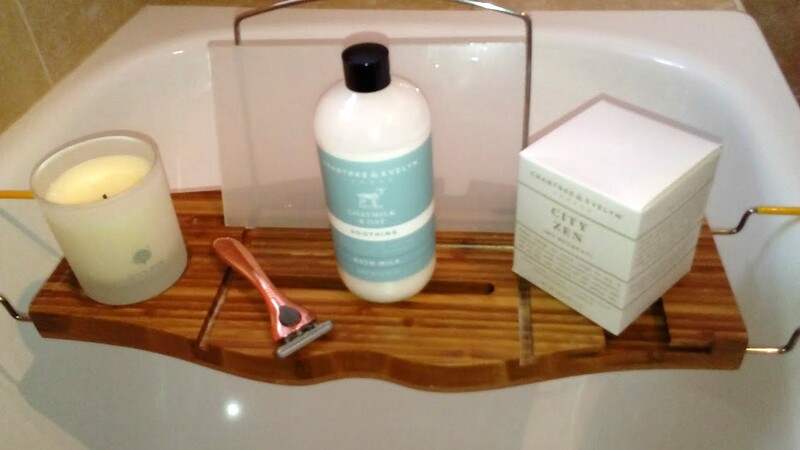 Recently I have been using Crabtree and Evelyn's new Goatmilk and Oat Bath Milk as well as their City Zen candle. These wonderful products are part of their 'The New Year Of You' range aimed at helping you to de-stress of an evening and uplift your mornings, there are 5 products in the range, each designed to ensure you have the best year yet. I have been using Crabtree and Evelyn for a while now and I absolutely love all of their products, each one more decadent than the last. Bath time always feels like more of a treat whenever I use this bath milk - maybe because Cleopatra used to bathe in milk back in Egyptian times. I can feel it moisturising my skin the second I step into my bath, helping to soothe my sensitive skin. Containing oat Kernel Oil and Vitamin E their moisturising properties make it the perfect choice to relieve and nuture my dry skin. Along side the perfect bath product, another of my essentials are candles. For me, lighting a candle is the first part of my routine, marking this as me time and relaxing me instantly. I love a candle which has a good scent throw on it and this one is perfect for that. Whenever I light it my whole bathroom is filled with exotic ginger flower, warm and spicy cardamom, black pepper and lemon. Never before have I had a candle with such a good scent throw on it, it literally fills not only my bathroom but my bedroom, hallway and even filtering through to my kitchen! Incredible! With these two products I am guaranteed to switch off and disappear under the bubbles whilst watching my favourites on youtube or reading a book. Ever since I moved to Harrogate 18 months ago, I have found baths to be an escape for me, somewhere to disappear to after a stressful day at work, a place where my muscles are rested and my mind eased. I always feel better when I come out of the bath, whatever has been on my mind, disappears with the bathwater and I am ready to slip into my pyjamas and curl up under the covers with a good book. It is so good for my mental health that barely a day goes by that I don't have a bath, I feel very indulgent when I manage to have one in the middle of the day! 'Me time' is so important, yet with our hectic lives we seem to have forgotten that. 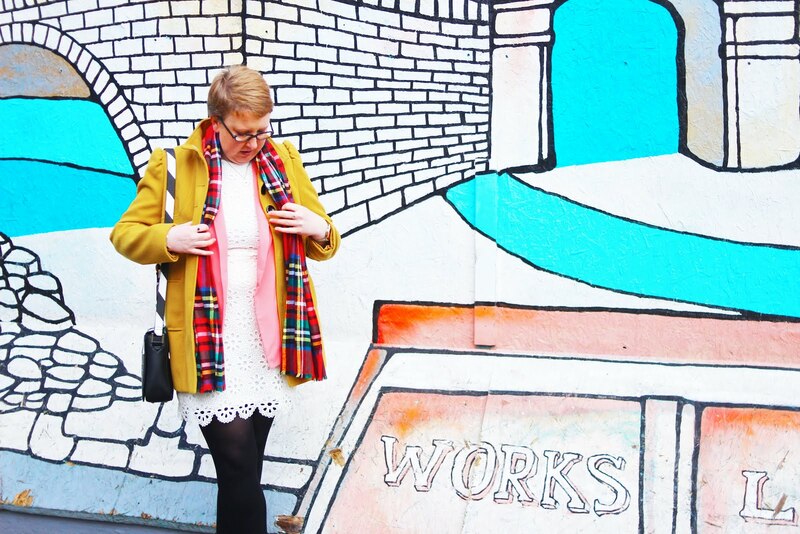 With social media taking an ever more constant presence in our lives and the pressure to be available almost 24 hours a day, it should be at the top of our lists to take time out for ourselves and look after our mental health. After all, aren't we better when we've had time to rest and recharge? I know I am. My mind is clearer, there's less stress going on in there and I feel like a new woman, combine this with getting lost in a new book and I feel so much better. 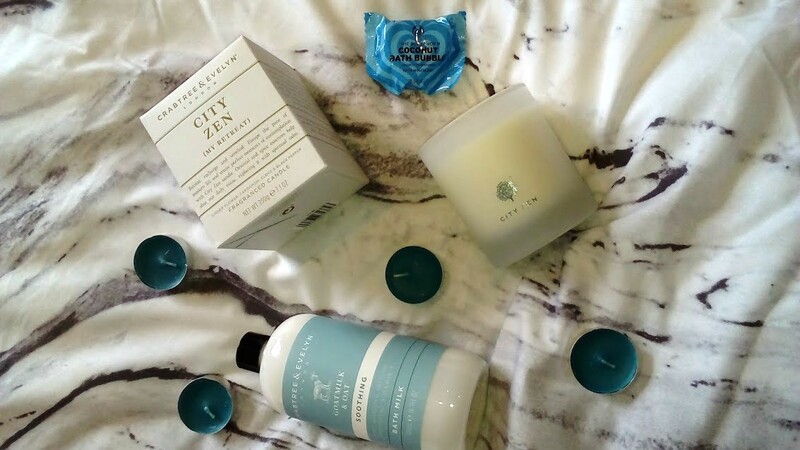 I struggle to switch off my mind sometimes but these products have been helping with that, the scent of the City Zen candle, combined with the silkiness of the Bathmilk, signal to my mind that it's time to de-stress and forget about everything. It doesn't matter if you haven't managed to stick to your new year's resolutions because Crabtree and Evelyn will be here to ease your mind and take all your worries and stress away. They are by far and away the brand I trust the most when it comes to luxurious bath products, I know instantly that I will be getting something truly special and can look forward to transforming my bathroom in my tranquil escape. *Big thanks to Crabtree and Evelyn for being kind enough to send over these products for my review. I absolutely love them!